One thing I really struggle with in my rather full (of kiddie stuff) days, is finding opportunities to write. 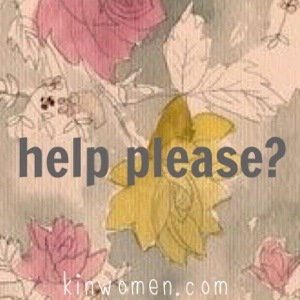 I have been invited by a wonderful group of women to contribute to the kinwomen blog. This gives me not just opportunity but impetus. Today’s post is over at kinwomen.com, so go there and check it out.